SWEETWATER, TN (December 3, 2018) — Bryant Boats is pleased to announce Robin Brendle as the Vice President of Sales and Marketing. Brendle will head Bryant’s global sales and marketing efforts to increase its dealer base in open markets and build the brand in the family luxury and emerging forward surf markets. With over 20 years in the boating industry, Brendle has held positions in sales at Brunswick, Larson, Sea Ray and HCB. He has a masters degree in Industrial Engineering and has held engineering and management positions at the Oak Ridge National Laboratory. “Bryant is thrilled to have Robin on board. I’ve known him for over 22 years and bringing his vast industry knowledge and expertise to our team is exciting,” stated Bryant Boats President, John Dorton. About Bryant Boats: Since its humble beginnings nearly half a century ago as Thunder Craft, Bryant Boats has become one of the most sought-after tailor-made luxury boats in the segment. Moving into the future with five new surf models for 2018, Bryant continues to raise the bar by balancing the leading edge of technology with the first-class comforts that have brought families together for decades. For more information please visit www.bryantboats.com. About Correct Craft: Celebrating 94 years of excellence in the marine industry, Correct Craft is a Florida-based company with global operations. 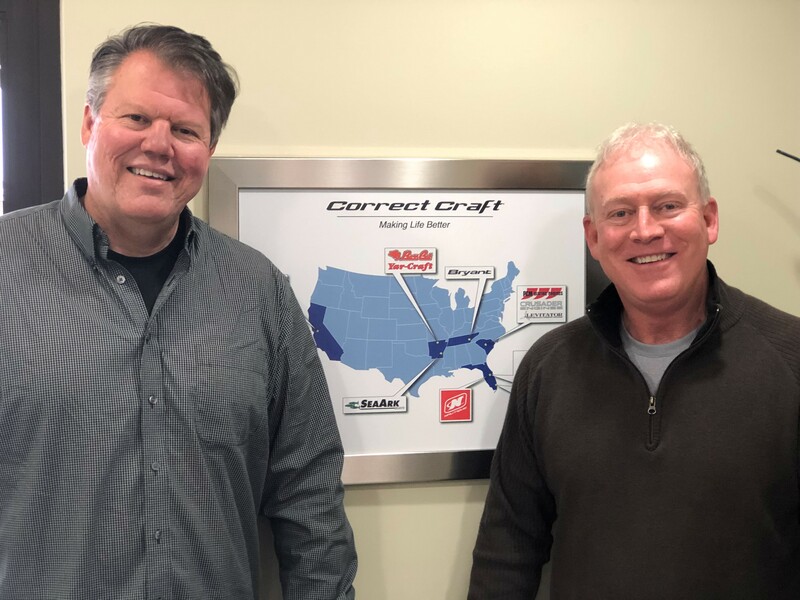 The Correct Craft family includes Nautique, Centurion, Supreme, Bass Cat, Yar-Craft, SeaArk, and Bryant boat companies, Pleasurecraft Engine Group, Watershed Innovation, and Aktion Parks. For more information please visit www.correctcraft.com.